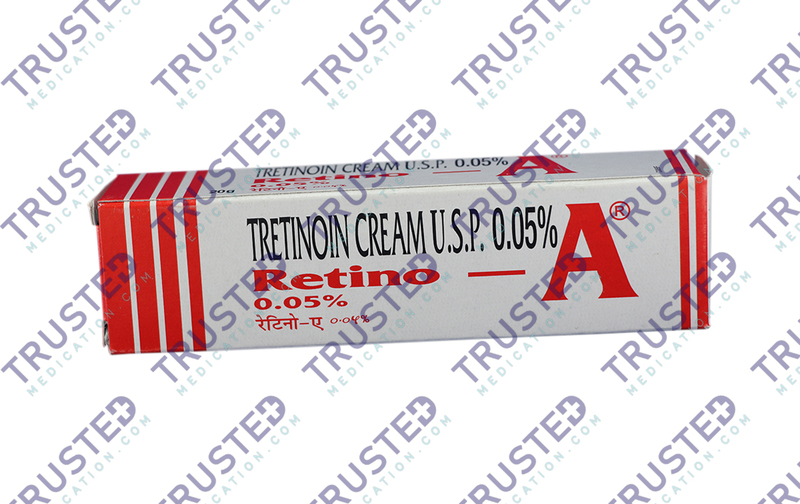 Retino A Cream 20gm (Tretinoin) is a topical antibiotic cream prescribed for treating severe acne problems. Retino A cream has an active ingredient that effectively treats severe acne problem. It belongs to a group of medication known as retinoids. You can buy Tretinoin here. 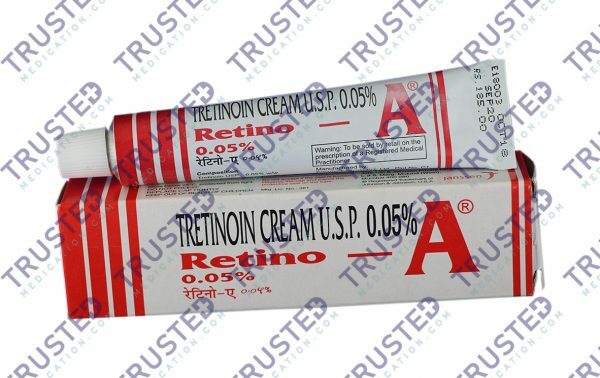 Why buy Retino A Cream 20gm (Tretinoin) for severe acne? Retino A cream is a spot treatment and acne removal cream. It is a form of vitamin A that reduces the amount of oil in the skin. It is an excellent spot treatment and overall removal of cystic acne. A small amount of Retino A cream can suppress acne cyst and skin bumps that have stayed together for days. Retino A Cream is available here at a very reasonable price. How does Retino A Cream 20gm (Tretinoin) work? Retino A cream contains an active ingredient Tretinoin. Tretinoin is a widely used medication not only for acne. Medicated creams with Tretinoin can reverse many visual signs of aging. It acts effectively and quickly in clearing the skin pores thereby removing and preventing pimples from developing. Tretinoin can change the way the skin produce sebum and the way the skin develops making it difficult for pimples or acne to develop. How to use Retino A Cream 20gm (Tretinoin)? Retino A cream is highly effective in reducing the acne formation and in improving facial skin. However, just like any other medications, it is still best to consult your doctor before using this cream. 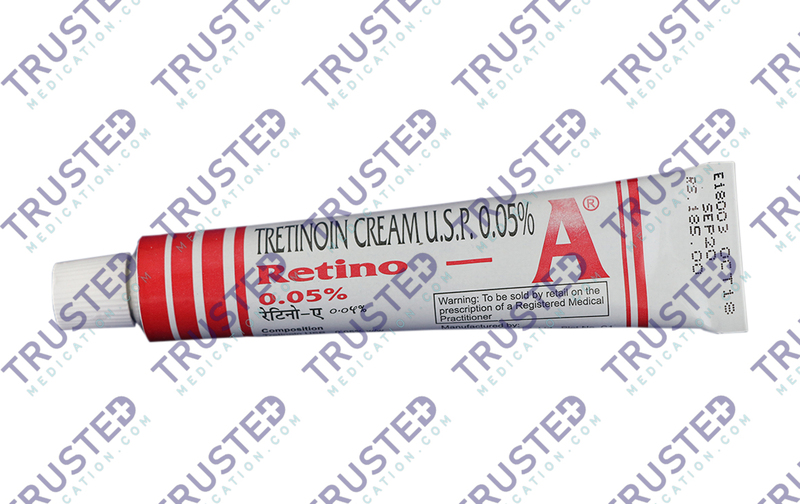 Retino-A cream can cause some effects when not used properly. Your doctor knows what’s best for you. Wash your face with cleanser and water. Then let your skin dry. Apply a very thin layer of Retino-A cream on the whole face. Do not apply on wounds and cuts or use this cream around the eyes. Apply Retino-A cream once every 3 nights. You may notice peeling of your skin, redness and worsening of acne but this is just normal, it’s called purging and it will go away after some time. After a couple of days, you may apply this cream every night. Apply gentle moisturizers on top of the skin if your skin feels dry. Use sunscreens with a higher level of SPF’s during the day. What are the side effects of Retino A Cream 20gm (Tretinoin)? Do not use Retino A cream if you are breastfeeding or pregnant. Avoid waxing. Waxing can cause excess redness on the skin. Do not use this cream if you are ultrasensitive to sunlight. Do not use other creams with benzoyl peroxide and alpha hydroxy acids. They may deactivate the effects of Tretinoin. Tazret Forte Cream (Tazarotene) is a topical medication used to treat acne and different skin problems. Tazret forte cream can speed up the process of the renewal of your skin. Tazret forte cream has an active ingredient that helps restore normal cell growth. This treatment is proven effective to lighten dark spots. It also reduces the growth of whiteheads that causes skin discoloration. The drug is effective to relieve pain and itching including the symptoms of psoriasis. This is perfect to cure all skin disorder. You can buy Tazarotene here. Aqua mask is a skin care product. It is designed for normal and dry skin. Aqua mask gives your skin hydration. It provides revitalization and hydration to the most dehydrated skin. It provides essential nutrients to regain comfort, freshness and radiant skin. It reduces the possible stretch marks from forming during pregnancy, teenage and rapid weight gain. It improves the appearance of existing stretch marks. It helps to lessen the wrinkles in your face. It helps to replenish the skin’s natural oils. It helps to improve the appearance of uneven skin tone. It helps to improve aging skin and dry skin. 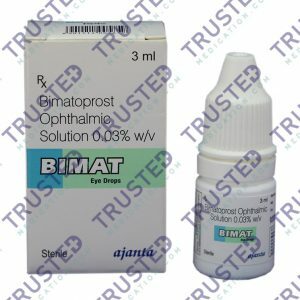 Bimat 0.03% (Bimatoprost Ophthalmic Solution) is a prostaglandin analog. It is for the treatment of the high fluid pressure in the eye. It controls the development of ocular hypertension and glaucoma. It can also create thick and dark eyelashes. Bimat is not allowed for patients 16 years old and below. You can buy Bimatoprost Ophthalmic Solution here.